I wanted to share with you some insight behind the idea, and our vision for e-cards that help charities. As we get closer to our 2015 launch, here's the run-down on what our online card venture is all about, and the background story of how we got to now. Take care of sending your Christmas cards this year in just a few clicks. When you send everyone an e-card on DontSendMeACard, you donate what you would have spent on greeting cards and postage to one of our wonderful charity partners, who perform magical acts of kindness with the smallest of contributions. Your card budget could benefit a children's charity, an environmental cause, or an animal rescue centre, for example. You can feel good knowing that you supported a worthy cause, plus your loved ones will see that you did this too. 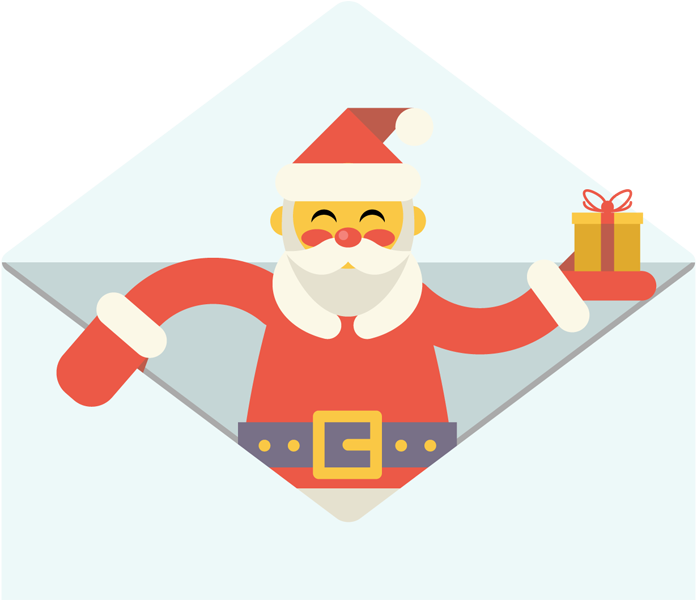 In just a few clicks and keystrokes, your entire Christmas card sending chore is taken care of, and in a guilt-free way. Plus there's no sign up hassle. Compare that to all the steps involved in making the Christmas post deadline. There's no dipping into your pocket to dish out extra cash here. Simply give what you would have spent on buying cards and stamps. This might be £10, or it might be £150. Regardless, you're still sending people a card and message, but the cost of printed cards and postage will be directed to charity. For every greeting card not sent, 140g of CO2e (carbon dioxide equivalent) is saved. It may not sound like much individually, but collectively we can make a significant difference. By becoming an advocate of supporting a charity with our e-cards, you could potentially set off a string of follow-on donations from your social network, which in turn will invite even more people to join in. Once you create your e-card and personal message and make your donation, you can then send your e-card by email, and share it on Facebook and Twitter. Loved ones will see that you donated and can follow your example. By you being an advocate of the idea of sending digital cards and donating what it costs to buy and send printed cards, you are setting an example and inviting them to join you. Trees for Cities will be able to plant a tree in an urban area with the cost of just a few cards. The Honeypot Children’s Charity will be able to buy a vulnerable child's Christmas present. Perhaps the only one they'll receive this year. The Royal Life Saving Society will be able to train 50 people in CPR. The cost of sending just a few greeting cards can really help a cause that relies on donations. In October 2012 it was my 33rd birthday. Someone close to me had purchased a rather fancy, large-format greeting card. As the day progressed I quizzed them on how much it had cost, just out of curiosity. I eventually got it out of them that it had set them back £9.99. Later that day I went to visit my parents and I opened more cards. I was left alone in the living room for a short while and whilst alone on my parents’ sofa, I estimated the total combined cost of all of my cards. It was at that moment that the idea ‘clicked’ that the cost of all of these cards could be put to better use by building an online greeting card alternative for special occasions. It wasn’t the £9.99 cost of the overly expensive card that sparked the idea. That peaked my interest. It was the fact that so many £1’s, £2’s, £3.50’s, 62p’s on stamps etc., are being spent on reciprocating cards. That we, in fact, spend BILLIONS a year on sending what are essentially bits of cardboard to each other. 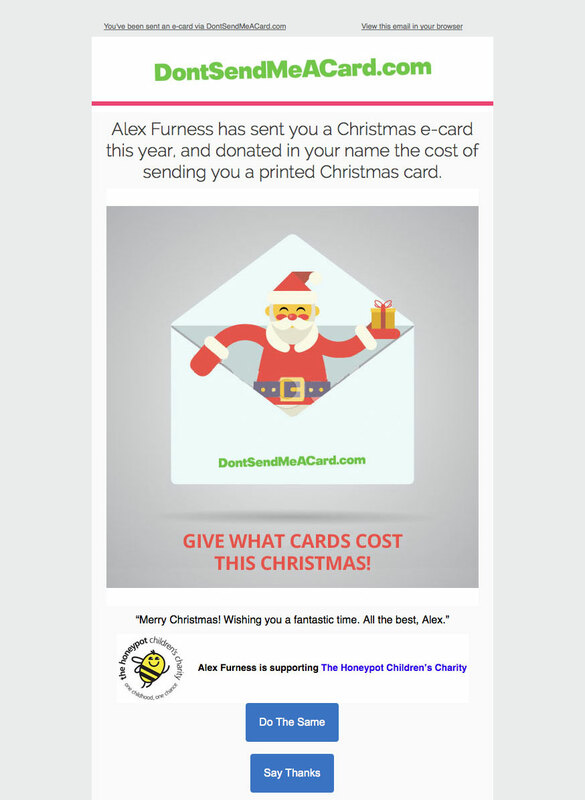 We put our first prototype of the site up in March 2014, and very quickly realised from feedback that people would want to support charities in lieu of sending cards. Six months later we had three charity partners on board on a second iteration of the site and it was exciting to see people donating in replacement of sending printed cards. 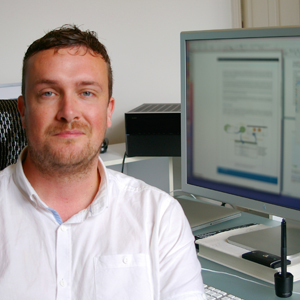 We were featured on a BBC radio show, and saw our Facebook followers increase along with more press coverage. From this second beta site we learnt that although users did, in fact, want to donate to charity in replacement of sending greeting cards, they also still wanted to retain the sentiment of a card and the acknowledgement of a loved one's occasion. Convenience was also highlighted as an important factor. Initially, we offered two variants of an online alternative to printed greetings cards: 1) giving directly to charity, and 2) requesting the cost of cards from friends and family. 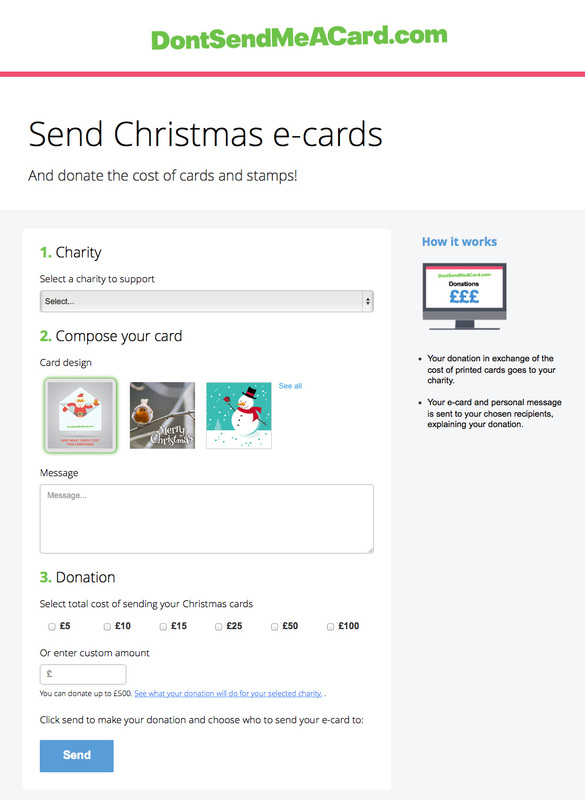 We discovered that users want to give the cost of sending cards directly to a charity, as it fulfills the need to acknowledge special occasions with the added value of being able to donate to charity. There is also the potential for the recipients of the e-cards to join in and do the same. This is now our focus. We’ve built these crucial feedback elements into our upcoming, and third version, by building in the ability to send e-cards and personalised messages, and support a charity, through a streamlined and simplified interface. Key to this simplicity is that you don’t need to sign up and create an account to do so. Whenever you want to send an e-card to a friend, family member, or colleague, and donate the cost of sending a greeting card, you can quickly visit the site: with a few keystrokes and mouse clicks, you can easily take care of that need to acknowledge an occasion. Last but not least, we’ve had an incredible response from charities here in the UK and at the time of writing we have 18 charity partners on board with the venture. Anyone in the world can utilise our e-cards and donate to one of our UK-based charities listed on the website. Join us this Christmas and send your friends, family and colleagues one of our e-cards and donate how much you would have spent on Christmas cards and stamps. You'll be encouraging everyone to follow your lead and you'll be helping the environment. Could you be that person to kick-start a series of e-cards and donations within your social circle?